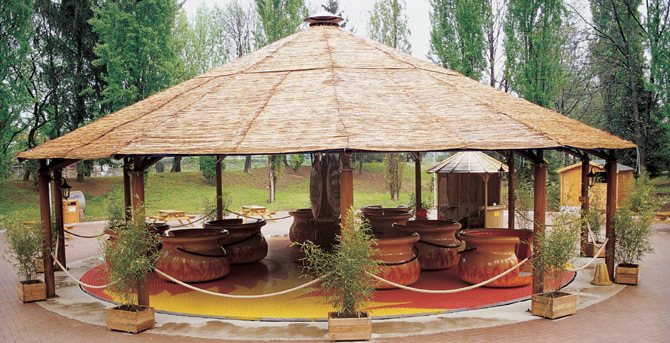 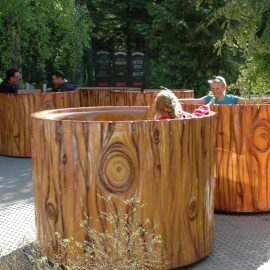 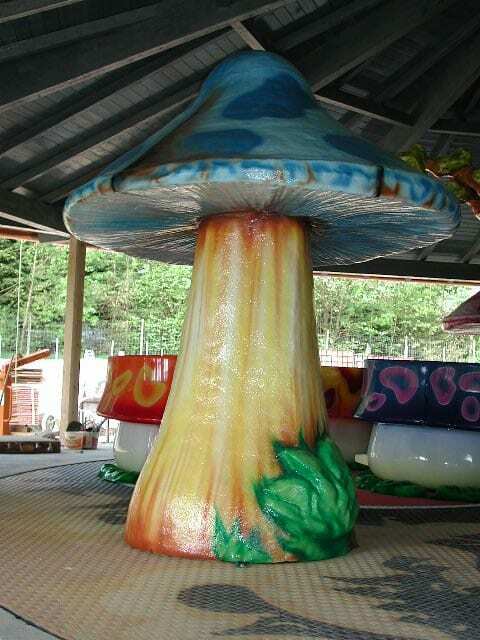 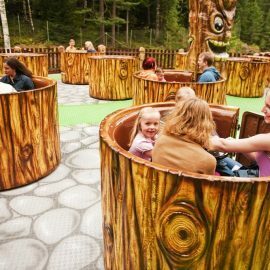 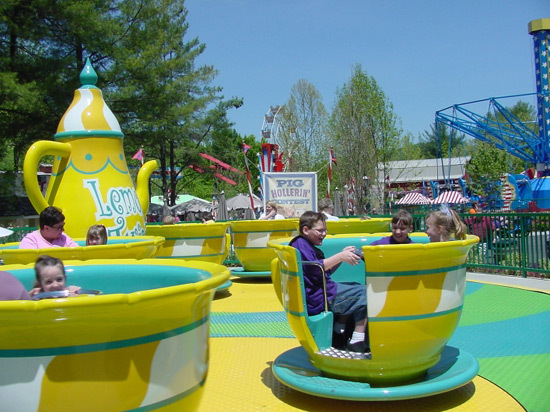 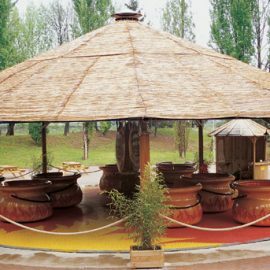 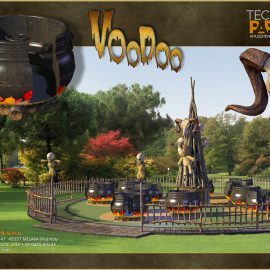 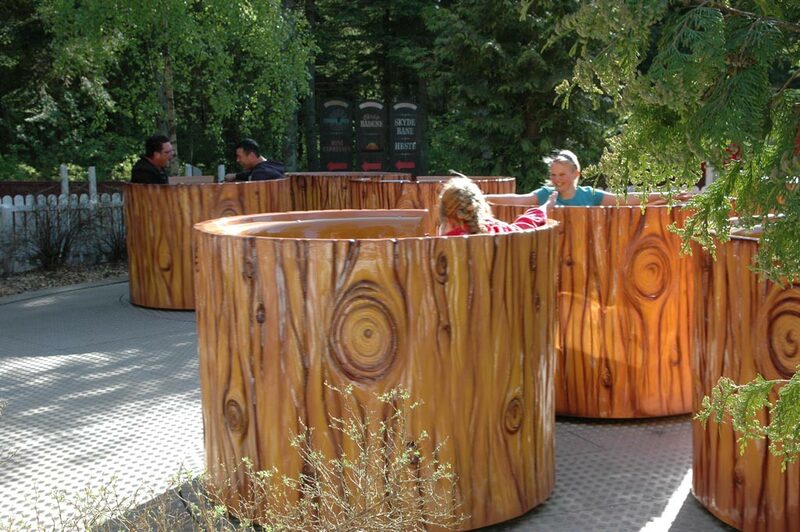 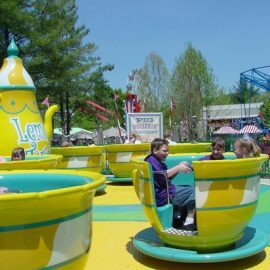 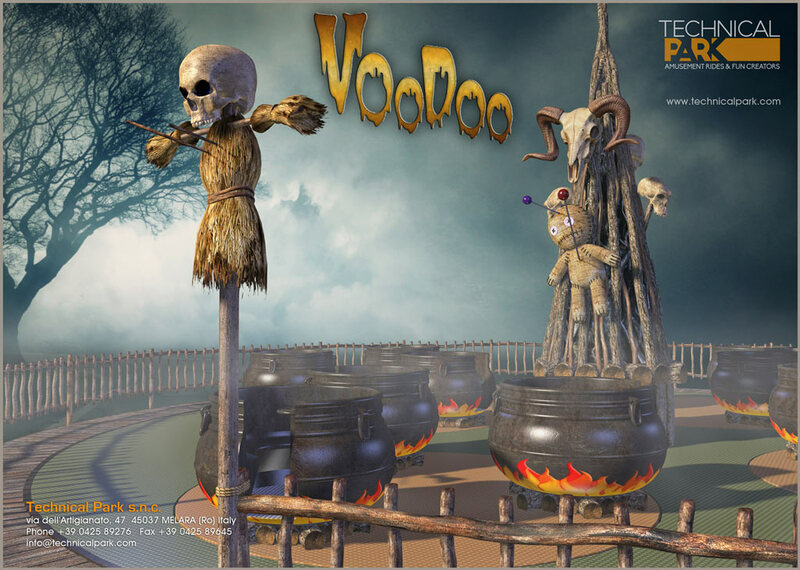 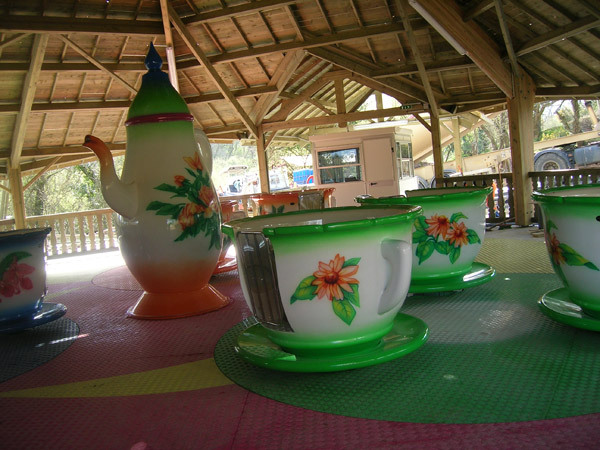 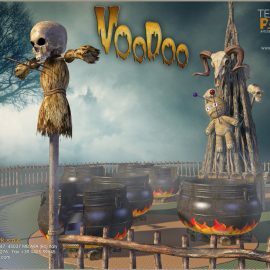 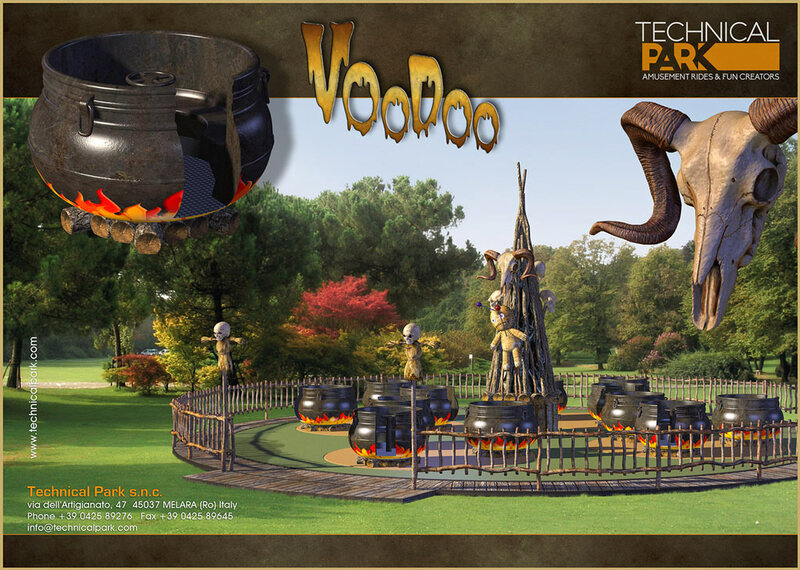 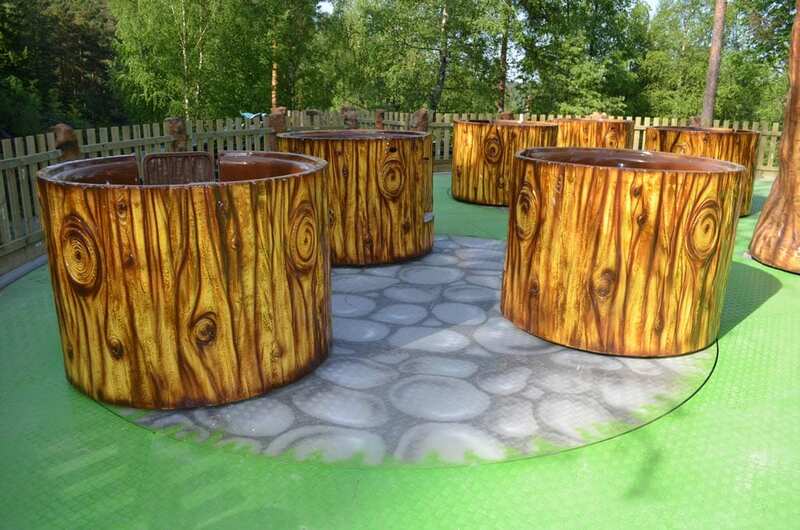 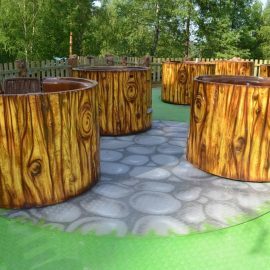 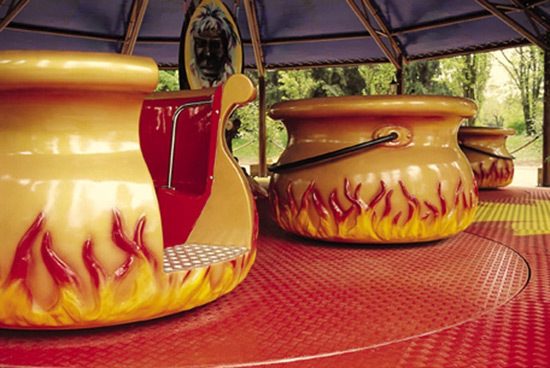 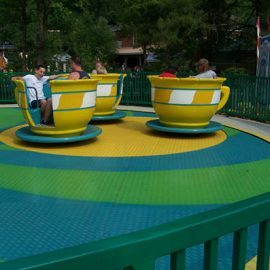 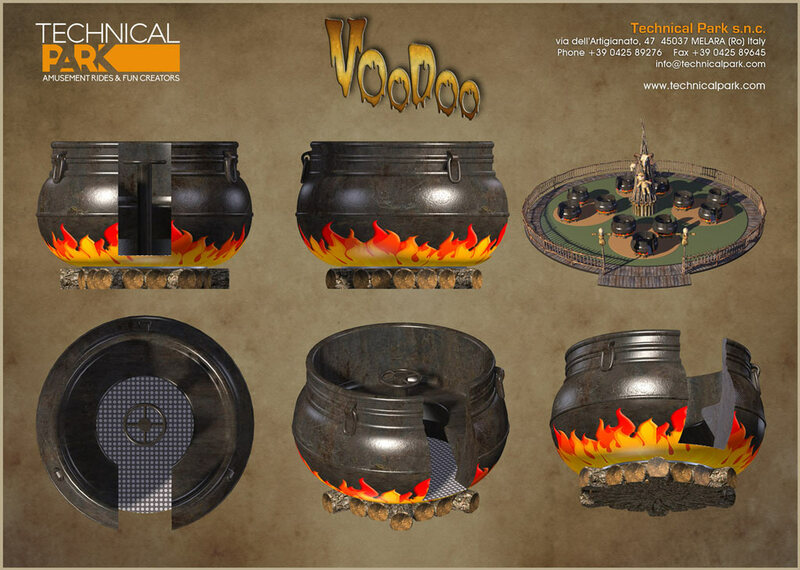 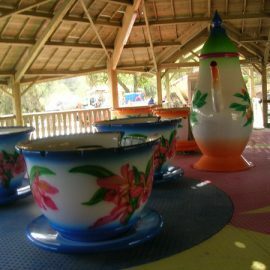 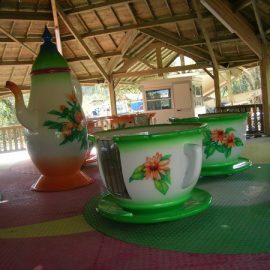 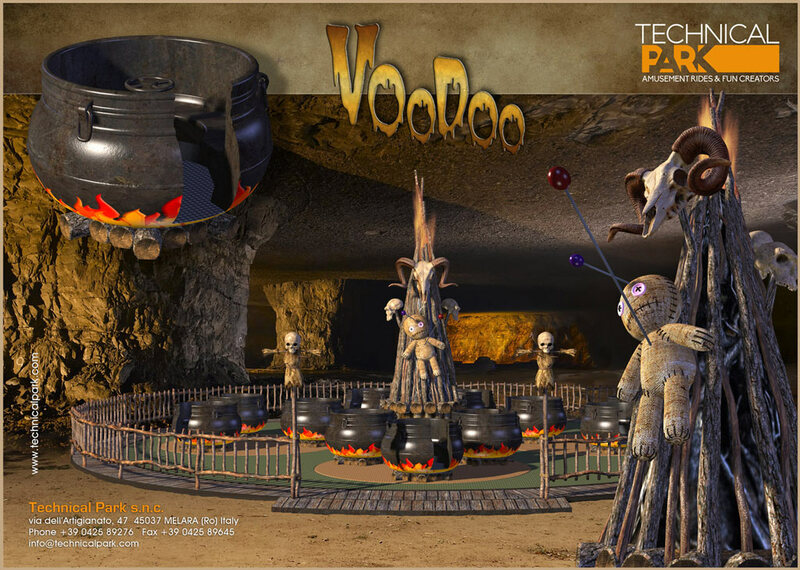 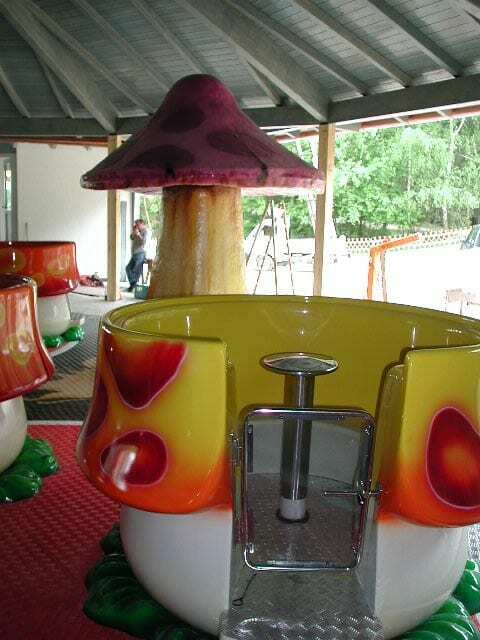 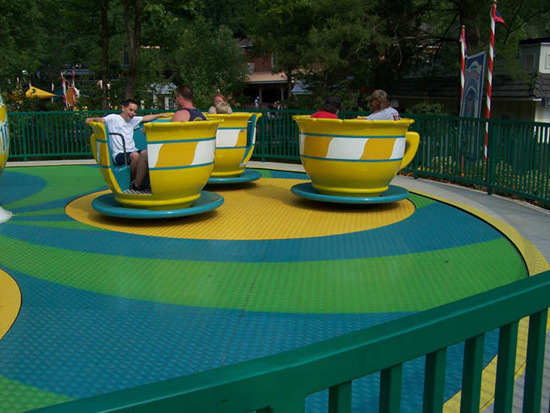 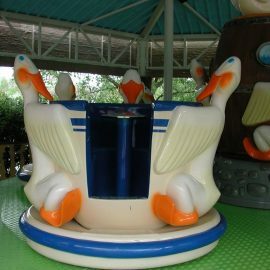 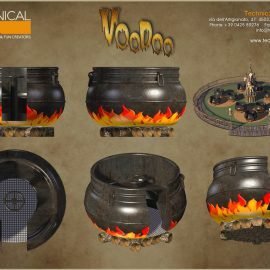 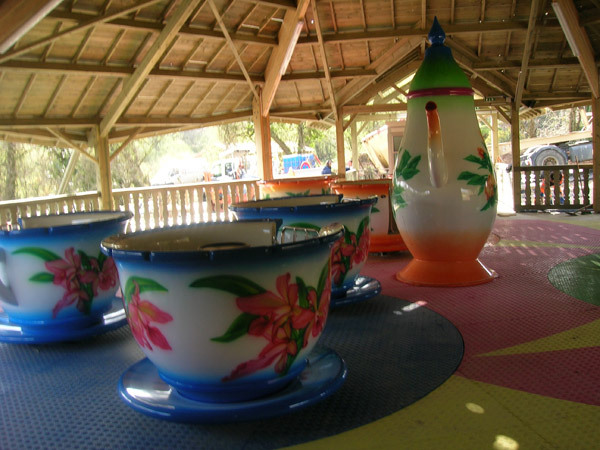 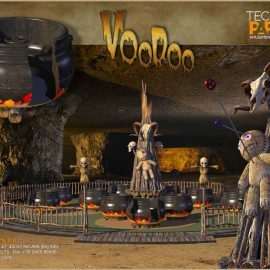 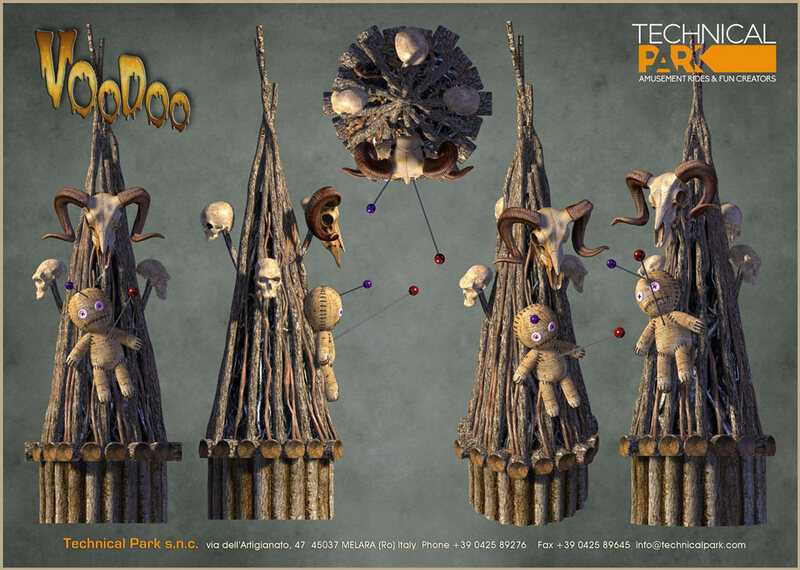 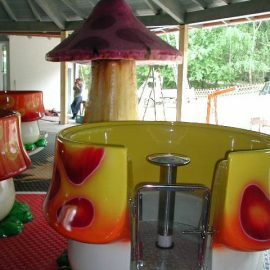 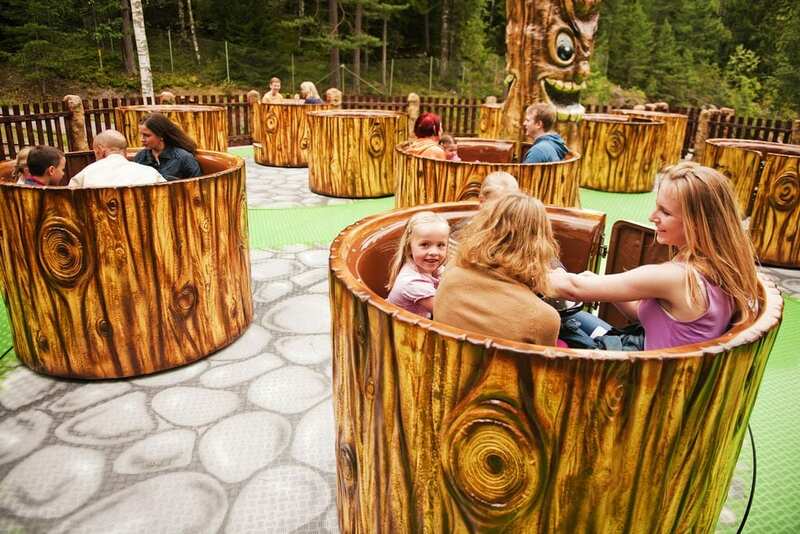 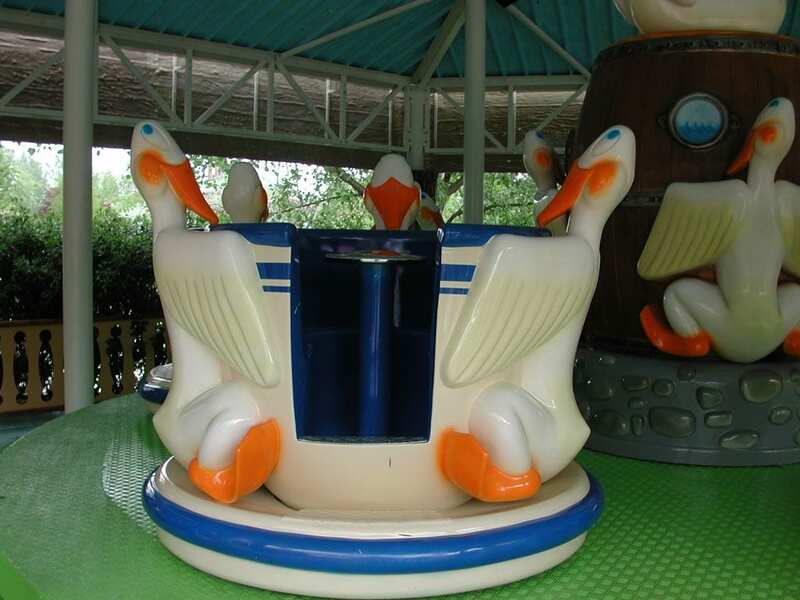 This entertaining family ride is the classical “Tea-Cups” ride redesigned with extra sized gondolas themed with new variants like mushrooms and pots barrels but still available with the evergreen classic cups like the ones delivered to Dollywood Park USA. 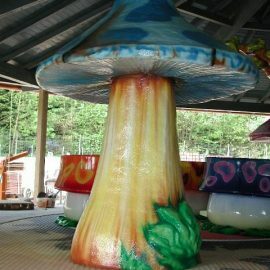 Sample of Oaks is in Tusenfryd Park Norway, Cannibal Pots in Dennlys Park France, Ducks in Mirabilandia Park Italy, Mushrooms in Bayern Park Germany. 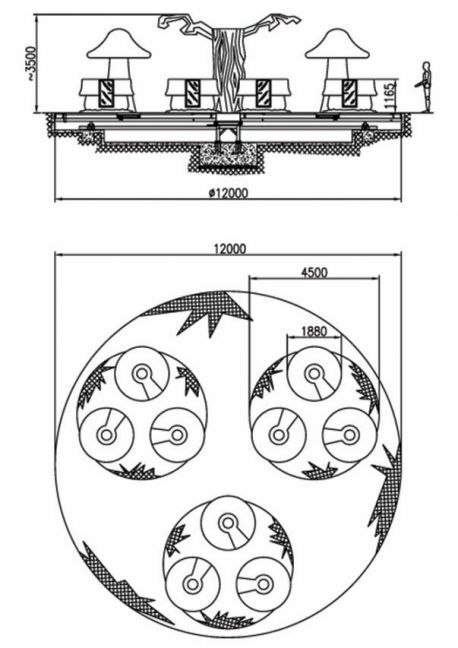 The attraction is made of a base to be fixed to the concrete foundations: the main platform is actuated by a hydraulic ratiomotor (electric motor is an available optional) that makes it rotate in a clockwise direction while the three (or four) small satellites supporting the vehicles rotate in a clockwise direction and are located at an angle of 120° (or 90°) with respect to the decorative centre. 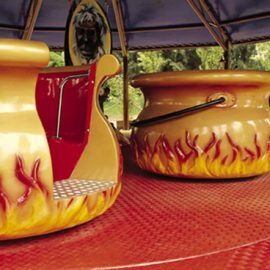 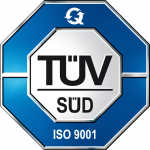 Each vehicle can also rotate in both directions (clockwise and counter-clockwise) by means of a little steering wheel allowing the passengers to mix the movements like in a Viennese waltz. 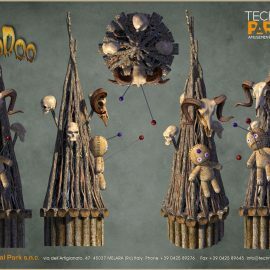 Available themes: Oaks, Tea Cups, Tribal cannibal pots, Mushrooms, Flowers, Ducks, and any other subject on demand.